Camping is an exclusive experience; it changes at each place and every destination has something new to offer to you. There are so many camping places in India which are quite exciting for camping and nature lovers. Camping with friends on weekend can’t be explained in words because of so much excitement is there. Kolad is a destination in Maharashtra which is best among the white water rafting. It is set on the banks of the river Kundalika. During the light, activities like kayaking, water rafting, boating and others can be seen near the campsite. In night, fascinating night sky, pleasant air, and voice of the running river will fill you with large happiness. Gorakhgad is a small fort at Dehri village near Murbad. Although it is small in size but have lot of space for accommodation and enough availability of water. Spending a night in a cave can be a remarkable experience. A dam is also situated nearby, where you can spend some quality time with your friends, family and partner. 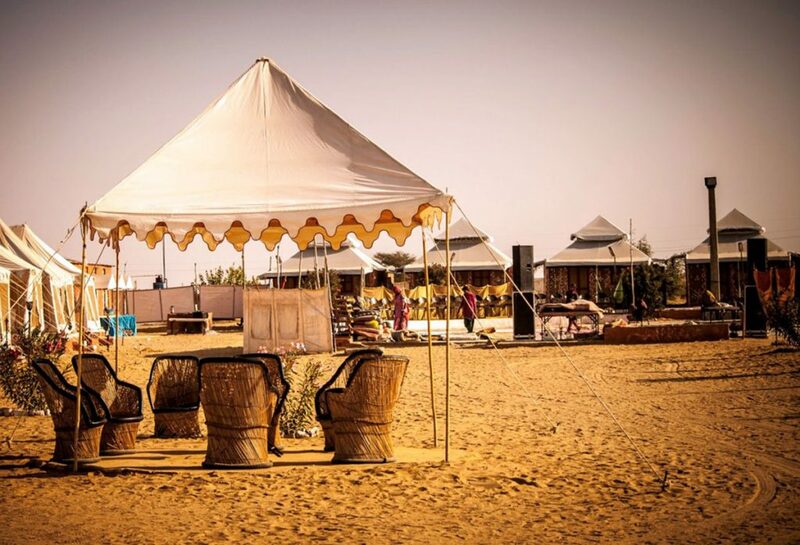 Pawana camping is located nearby on the bank of Pawana dam which is just is 50 km from Pune. This place is surrounded by four majestic forts named Tikona, Tung, Lohagad and Visapur. Lake water can be seen from this location easily. Major attraction of this camping is water view site, music with dance, camp fire, etc. Karnala is a hill-station and also a bird sanctuary which is just few distance from Mumbai. An ideal short weekend will give you a memorable experience. How much excited to do camping at a bird sanctuary? You can while the afternoon away watching birds, or indulge in more vigorous activities such as trek to Karnala fort. Panchgani is a famous hill-station which is just 20 km from Mahabaleshwar. It is named Panchgani because of five hills around it. It is one of the famous and enchanting honeymoon destinations in Maharashtra because of its ease of access and it also has many getaway resorts that are suitable for honeymooners. The combining adventure with its historical roots while Rajmachi camping can be different experience. It is famous for its majestic Rajmachi Fort. And it is among the best trekking destinations near Mumbai. The campsite is situated 18 km away from Lonavala. Kaas Plateau is a best weekend place for the nature lovers. It is situated 290 km from Mumbai and 130 km from Pune. The plateau is famous for large grasslands, high hill plateaus and pleasant biosphere. The best time to visit plateau is after monsoon for those who want to see wild flowers. Camping amidst the Malshej Ghat gives a delightful experience. This is a perfect scenic destination for camping and nature lovers. It is a famous monsoon destination and its a few kilometers away from the village of Khireshwar which gives a spectacular view of Hasrishchandragad which is composed of mesmerizing beauty. The above mentioned are those places where one can get a feel of nature everywhere. The enthralling and exciting experience can also be getting from these camping places. Besides in Northern India, set in the scenic location of the Himalayas, himachal pradesh provides a stunning spectacle no matter where you look. If your are finding the way to enjoy the finer things in life right in the midst of breathtaking natural surroundings heat today himachal tourism package.